Use MAC mobile phone data recovery software to retrieve your lost digital photos, mp3 songs and phone memory saved contact numbers along with their specific contact name. This innovative utility completely gets back your inbuilt mobile phone saved data. 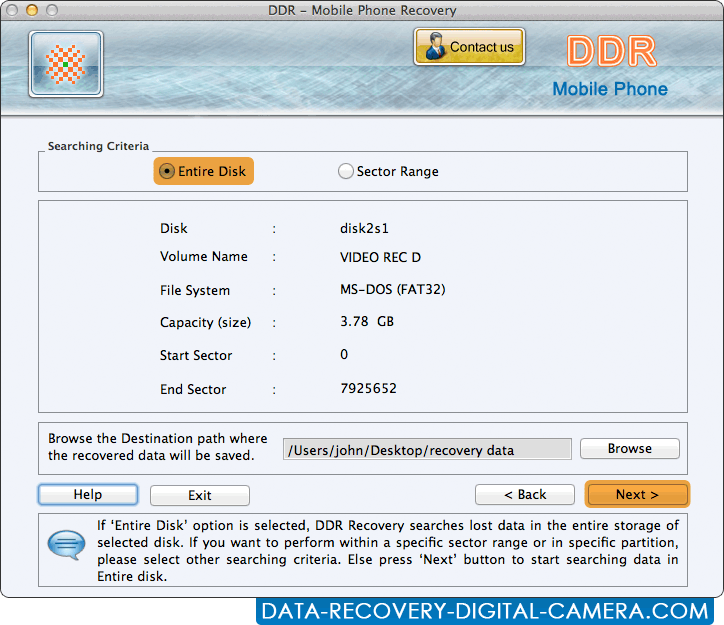 Mobile phone data recovery software for Apple Macintosh OS X instantly recovers deleted audio, video and picture files from inaccessible cell phones. Mobile data restoration utility restores missing precious moments, memorable snapshots and other important data. Software provides enhanced solution to retrieve your lost phone book memory saved data. » Software supports all major brands of mobile phones including Nokia, Motorola, Samsung, LG, Black Berry, Sony Ericsson and other types of cell phones available in the markets. MAC mobile phone data recovery software uses deep scanning algorithms to recover your missing digital photographs, birth day images from mobile phones. Provides preview of your recovered mobile phone saved data before their actual recovery. Restores missing party photos, baby snapshots and other essential data at reasonable price. Regains your lost audio, video clipping, songs and other valuable data from corrupted memory card of your cell phone. Mobile data restoration utility for Mac provides comprehensive recovery of your lost inbuilt and mobile phone memory saved data.